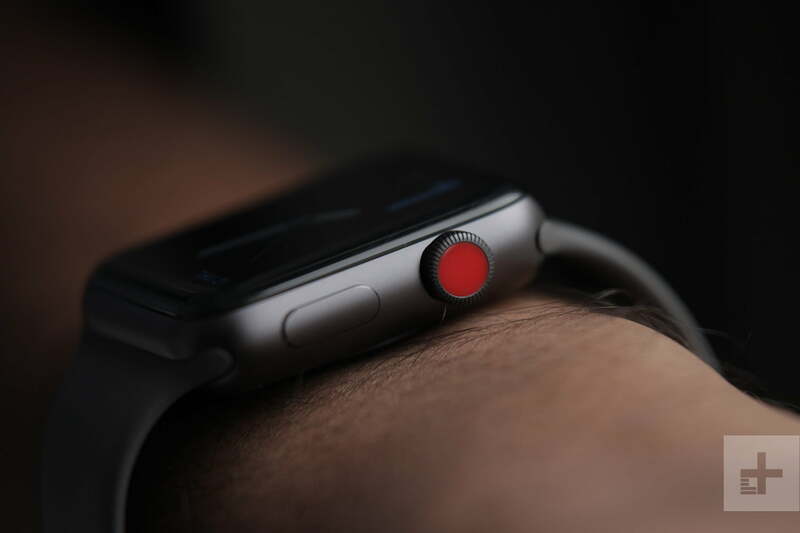 Apple and Fitbit are at the top of the wearables market with Apple leading in smartwatches and Fitbit wearing the crown for fitness trackers. Both companies regularly update their product line, so it’s not surprising to see previous generation models like the Apple Watch 3 and the Fitbit Charge 2 go on sale at deep discounts. You can save a bundle of cash on the Apple Watch 3 at B&H and Walmart or head over to Verizon Wireless to score some savings on the Charge 2. We loved the Apple Watch 3 when we reviewed it and had lots of good things to say about the Fitbit Charge 2. The Apple Watch Series 3 may be a generation old, but it is still one of the top smartwatches available. You can use it to send/receive messages, keep up with your social media accounts and track your workouts. This model also includes a barometric altimeter for tracking elevation during walks, hikes or hill repeats. The Watch is available in a Wi-Fi model which piggybacks on your phone for alerts but uses the built-in GPS for location tracking. There’s also a GPS + Cellular version that connects to a wireless provider and can operate independently of your iPhone. You will need to pay for a data plan from your carrier for the cellular version, and it usually amounts to $10 or less a month. With an MSRP starting at $380, B&H Photo Video is discounting the Apple Watch Series 3 (42mm with GPS and cellular) to $269 saving you $100. It has an aluminum case. If you want a more special version of the watch, the Apple Watch Nike+ also in 42mm is available for $279. It’s the GPS and cellular variant as well, and you get the Nike Sport Loop band, along with exclusive Nike watch faces. B&H also has the more premium Apple Watch Series 3 stainless steel (GPS and cellular) model with a space black Milanese Loop strap. Its original price was $779, but it has since been discounted to $349. Walmart is also offering discounts on the Apple Watch Series 3 GPS and Wi-Fi 38mm and the 42mm model, which it is selling for a very affordable $199 and $229 starting price, as well as the Apple Watch Series 3 – GPS and cellular 38mm and 42mm model, which starts at $300. The Fitbit Charge 2 is one of Fitbit’s more aesthetically-pleasing devices blending both fitness with fashion in the wrist-based tracker. Besides looking good on your wrist, the Fitbit Charge 2 covers all the bases for fitness tracking. It tracks steps taken, heartbeats per minute, distance traveled, calories burned, floors climbed, minutes you were active, and more. It monitors your heart rate throughout the day and during workouts. The tracker then uses this heart rate data along with your workout stats to calculate your Cardio Fitness Score, which is Fitbit’s version of VO2 Max. More than a tracker just for fitness, the Charge 2 has wellness features like guided breathing sessions to help you relax. The Charge 2 also tracks your sleep each night and syncs this data to the Fitbit app on your mobile device. The Fitbit app compiles all your wellness and workout data and presents it in a way that is easy to understand. You can use the app to improve your fitness level, lose weight and make sure you are getting enough rest and relaxation every day. Amazon has slashed the price of the tracker from $150 to $97.87 for the small Plum-colored model. Looking for more great stuff? Find more smartwatch deals, Apple Watch deals, and more on on our curated deals page.